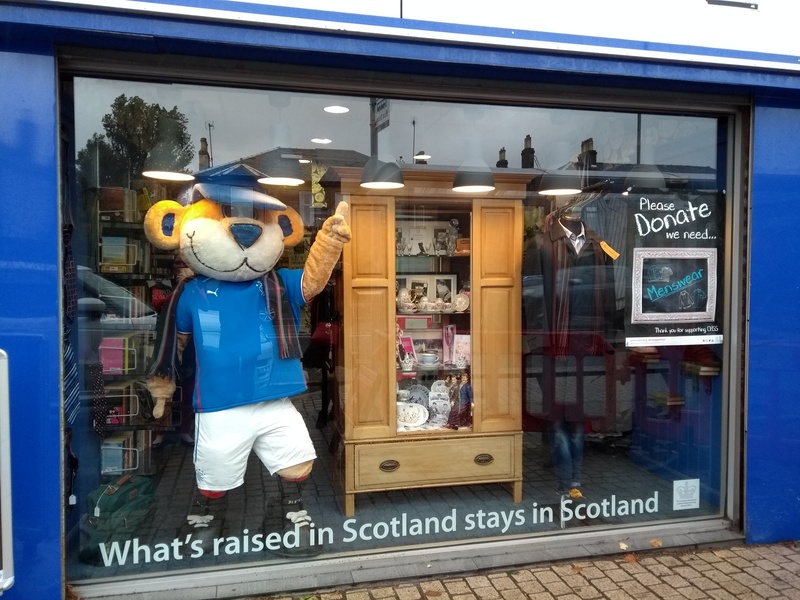 Chest Heart & Stroke Scotland (CHSS) are our National Charity Partner for Season 2018/19. 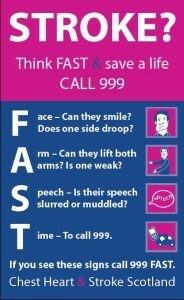 1 in 5 people in Scotland (approximately 1 million people) are affected by chest, heart and stroke conditions. Chest Heart & Stroke Scotland work throughout Scotland to ensure people affected by chest, heart and stroke conditions can live life to the full. A large part of football is about following your dreams. But aspirations can be dashed when dealing with the reality of a life-changing health condition. Everything can become a challenge. From simple things we do every day like picking up a knife and fork to having the confidence to leave the house. We are working with this vital Scottish charity to help those affected by life-changing conditions to continue to follow their dreams. These may be returning to work, playing 5-aside football again or getting to a Rangers match. Through this partnership, we want to help CHSS to support even more people across Scotland to ensure that No Life is Half Lived. As part of this partnership we will also be working along-side CHSS to become healthier ourselves. We’ll be promoting healthier ways of living to reduce the risk of chest, heart or stroke conditions. Living with long-term health conditions, or experiencing disability (which affects a third of stroke survivors) can leave people struggling to cope with huge physical changes. The impact often goes far beyond physical health – many people also see their mental health suffer, with many left feeling isolated and suffering depression. Every aspect of life can be affected, from relationships to finances, from social life to work. It is also not just the person living with the health condition who is affected; it can have a huge impact on family members and friends too. CHSS provide communities across Scotland with one-to-one and group support, health information and a free Advice Line. They also campaign to ensure people living with these conditions receive the right support and have a say in the decisions that affect them. We have pledged to raise £20,000 to support Rehabilitation Support volunteers in Glasgow as well as funding Chest Heart & Stroke Scotland’s award winning Advice Line. The Rehabilitation Support Service enables people to get their lives back on track after a stroke and volunteers are a vital part of this service. Volunteers are trained to support individuals and their families from hospital to home and in groups within local communities. CHSS want to make sure they can reach everyone who needs them. The Rangers Charity Foundation will fund the training and on-going support of dedicated volunteers in the Glasgow area. Chest Heart & Stroke Scotland’s Advice Line is run by qualified nurses and provides vital practical and emotional advice to those living with long-term conditions and their families and friends. Advice Line nurses also signpost and highlight other services and support in the local area. We will fund 600 hours of this vital phone line through this partnership. 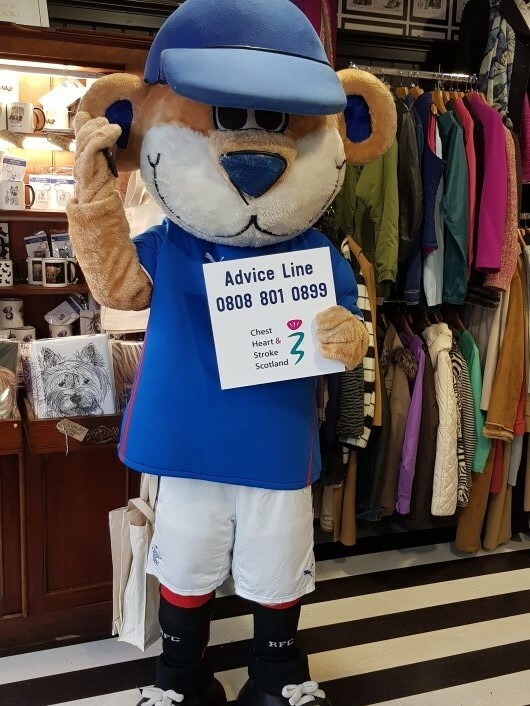 Rangers Charity Foundation Director Connal Cochrane commented: “Around one in five people in Scotland are living with the effects of serious chest, heart and stroke conditions so most people will know someone who could benefit from the services provided by Chest Heart & Stroke Scotland.